Katelynn and Grant Baker enjoy living in Durham Farms, where they are able to meet new friends and enjoy the feeling of living in a close-knit community. On Saturday, that will become easier than ever. 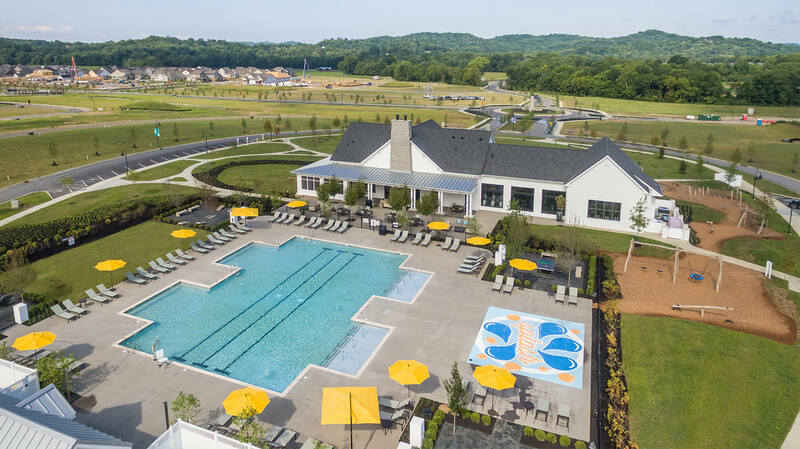 That’s the day of the grand opening of The Farmhouse at Durham Farms, the amenity center at the heart of this master-planned neighborhood in Hendersonville designed around the goals of promoting healthy lifestyles and encouraging neighbors to get to know one another. “We did move to Durham Farms with that in mind,” Katelynn Baker said. The couple closed on the house at the end of 2017. Saturday’s grand opening will begin at noon. The public is invited to the event, which will be part of Durham Farms’ annual Harvest Festival. It will feature live music, a free barbecue lunch, kettle corn and fall treats and an Oktoberfest-themed beer and cider tasting with beverages from local distillers and brewers. Youngsters can enjoy a petting zoo, a bounce house, a video game truck, a pumpkin patch and pumpkin decorating. The event will also feature local vendors as well as trolley rides and shuttle service through the neighborhood. Durham is located on Drakes Creek Road between Vietnam Veterans Boulevard and Long Hollow Pike. 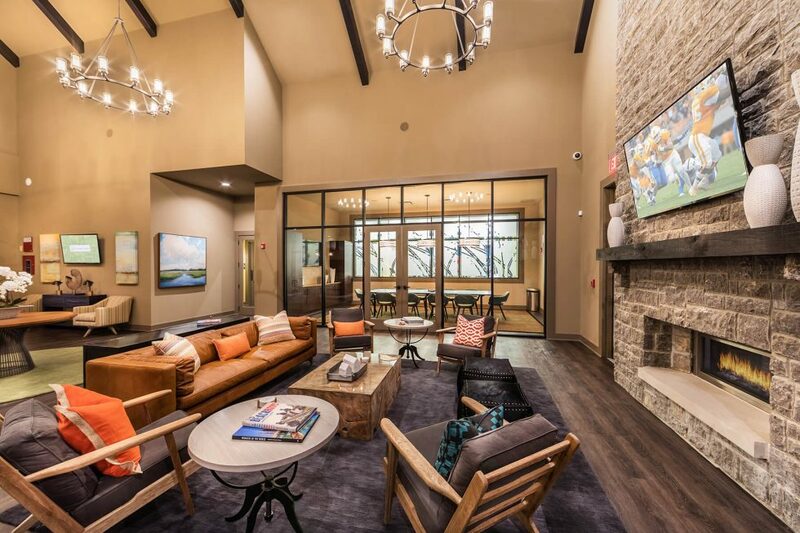 The Farmhouse features a state-of-the-art fitness facility, community swimming pool with splash pad, outdoor deck and lounge area, free wi-fi, work café, community conference room and a game and activities area. It opened for activities in July, but the grand opening firmly establishes it at the center of the community, said Baker. The Farmhouse at Durham Farms features an outdoor deck, lounge area, pool and splash pad. The Farmhouse will be home base for Lacey Edwards, the full-time lifestyle director who organizes events, outings and activities at Durham Farms. “This job is so rewarding because I get to see friendships form from the very infant stages at a community event. Then, I see those same neighbors connecting in front of their houses. Then, I see them doing their own events, like having a potluck at each other’s homes, doing game night, shopping together, traveling together on vacation,” she said. “That’s what it’s all about. It’s about building connections and creating memories with the people that we surround ourselves with all the time besides work. We spend the majority of the time at home, so why shouldn’t we be close with our neighbors and build those long lasting memories together?” said Lacey. The Bakers moved from a Nashville neighborhood they loved but where establishing connections could be challenging. They are thinking of starting a family and wanted to meet other young couples. “We look at this as an opportunity to make friends our age who we have things in common with,” said Katelynn Baker. Durham Farms’ master plan includes several miles of paved trails, a creek-side nature trail and green spaces. “The Farmhouse is meant to be the heartbeat center of the entire Durham Farms community. It is essentially the amenity-filled energy pulse to the lifestyle of a connected community,” said Suzanne Maddalon, vice president of marketing for Freehold Communities, Durham Farms’ developer. Even with those amenities, Durham Farms has kept its monthly HOA fee at $80, which Maddalon said is less than some gym memberships. “Activity, healthy living, engagement, connectivity, these are the elements of modern living that we want to combine with the front-porch friendliness of the small-town community lifestyle in Hendersonville. The Farmhouse at Durham Farms is the embodiment and the physical center of that for this community,” she said.